The season starts with a Vancouver to Seattle cruise featuring Sawyer Glacier while the final cruise in September is the reverse itinerary. As an Alaska Expert, I can assist you in planning your vacation to Alaska on Royal Caribbean. Guests currently booked on Mariner of the Seas’ Mexican Riviera sailings from January 16,2011, and onward will be contacted with the following offer. Until May 6, 2010, affected guests can opt for a full refund of any fares paid, or enjoy $200 onboard credit per stateroom ($400 per suite category stateroom) when they rebook their vacation, at the same fare or lower prevailing fare, on a Mariner of the Seas sailing before January 16, 2011, or on the same 2011 departure date aboard Voyager of the Seas, sailing from Galveston. As I've mentioned in past blog columns, the cruise lines are returning to Europe with more ships than ever before. They had pulled ships out in 2009 due to the economy, but due to pent up demand, they are once again returning in force. The Mariner of the Seas redeployment will occur in January 2011, with a short South America season before debuting in the Mediterranean as Royal Caribbean’s record-setting 11th ship in the region for summer 2011. Mariner of the Seas will homeport at Rome (Civitavecchia) from March through October 2011, replacing Splendour of the Seas, which will now homeport in Venice, offering 10- and 11-night Greek Isles and Turkey itineraries for the season. Mariner of the Seas will then return to North America for the 2011-12 winter season, offering seven-night Western Caribbean itineraries from Galveston, Texas, replacing Voyager of the Seas which will redeploy to New Orleans in winter 2011-12, offering vacationers another Gulf Coast port to embark on a memorable seven-night Western Caribbean cruise. 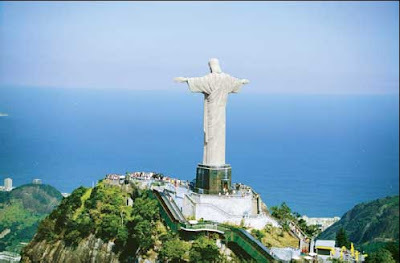 On January 16, 2011, Mariner of the Seas will reposition from Los Angeles on a 16-night itinerary to Valparaiso, Chile, followed by a 14-night voyage that cruises the Straits of Magellan and Cape Horn at the southern tip of South America to Sao Paulo (Santos), Brazil. The ship will then offer a short Brazilian cruise season, before crossing the Atlantic to debut in Europe at its new seasonal homeport of Rome (Civitavecchia), where Mariner of the Seas will sail seven-night Western Mediterranean and 12-night Mediterranean Holy Land and Mediterranean Egypt itineraries. In November 2011, Mariner of the Seas will debut at Galveston to offer Texas vacationers two roundtrip seven-night Western Caribbean itineraries through April 2012. Mariner of the Seas’ new 2011 Europe and South America, and 2011-12 Western Caribbean itineraries, Splendour of the Seas’ new 2011 Europe itineraries, and Voyager of the Seas’ new 2011-12 Western Caribbean itineraries will be opened for booking in the near future. 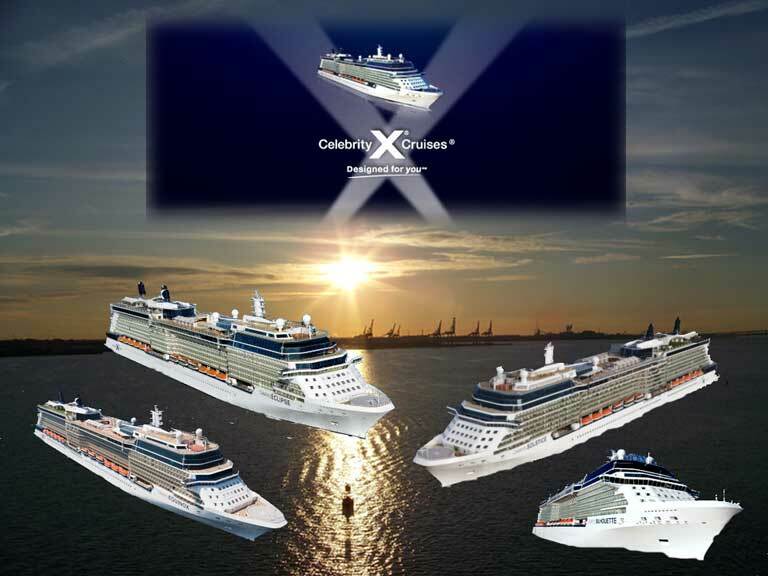 Celebrity Cruises recently announced that all of its Solstice-class ships will sail together in Europe in the summer of 2011. Celebrity Cruises also announced that the four stylish vessels will sail the waters of the Caribbean later that year and into early 2012. 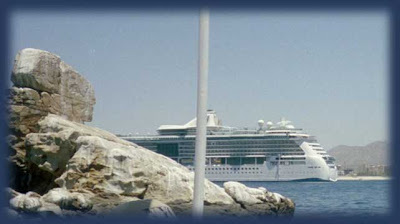 Cruisers can book most of Celebrity's 2011-12 winter cruises and cruisetours beginning this week. 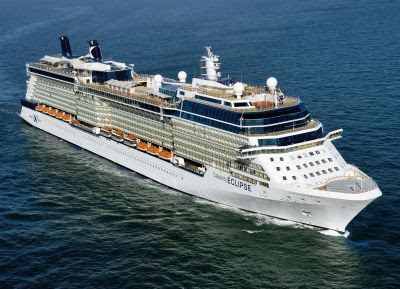 Celebrity Silhouette, launching in 2011 - will sail from Cape Liberty (Bayonne), New Jersey, offering cruisers throughout the Northeast easy driving access to a vacation on the newest ship in the line's award-winning Solstice-class fleet. From November 2011 to April 2012, Celebrity Silhouette will sail 14 alternating Southern and Eastern Caribbean voyages of 12 nights in length. The Southern Caribbean itineraries will visit St. Thomas, St. Kitts, Antigua, St. Lucia and St. Maarten. Celebrity Silhouette's Eastern Caribbean cruises include visits to San Juan, Labadee (Celebrity's private-island destination in Haiti), St. Croix, St. Thomas, Antigua and St. Maarten. Sister Solstice-class ship Celebrity Equinox also will offer long Caribbean itineraries in the winter of 2011-12, sailing 15 alternating 10- and 11-night "Ultimate Caribbean" cruises out of Fort Lauderdale. The 10-night line-up focuses on Southern Caribbean experiences, with visits to St. Thomas, St. Kitts, Barbados, Dominica and St. Maarten. The 11-night cruises take cruisers into the Western Caribbean and Panama, with visits to Mexico, Belize or Honduras (depending upon itinerary), Costa Rica, Panama, Colombia and Grand Cayman. Celebrity Solstice, will return to South Florida to offer roundtrip seven-night Caribbean cruises out of Fort Lauderdale in the winter of 2011-12. These will be a series of 25 alternating Eastern and Western Caribbean itineraries, including a special eight-night Eastern Caribbean holiday sailing on December 18 that will feature an extra sea day, giving cruisers even more time to enjoy Celebrity's outstanding cuisine and extraordinary service. Celebrity Solstice also will present a one-time six-night Western Caribbean voyage on January 2, ideal for cruisers who wish to experience a Solstice-class ship in the Caribbean but have less than a week to spend at sea. Celebrity's third Solstice-class ship, Celebrity Eclipse will return to the Caribbean for a second consecutive winter season in 2011-12, offering seven-night Eastern Caribbean cruises roundtrip out of Miami. Celebrity continues to improve their ships with several of the Millennium-class ships undergoing "Solsticizing" starting with Celebrity Constellation this month. I'll share more about this in another post, so stay tuned. 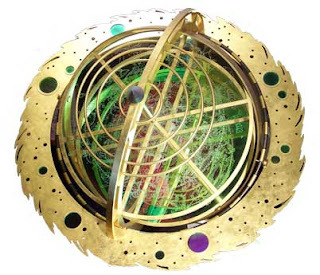 We have covered the Solstice-class ships in detail in many past posts. Search for "Solstice" to read more about this series of vessels being added to the Celebrity fleet. 40 years ago today, U.S. Senator Gaylord Nelson founded Earth Day, designed to inspire awareness and appreciation for the Earth's environment. More than 175 countries celebrate this event every year. As the blog post title suggests, cruise lines have taken an active role in adopting programs to protect the environment. In this post, I'll focus on Royal Caribbean Cruises Ltd. although they are not alone in the endeavor to protect the environment. For nearly 40 years, Royal Caribbean has carried out a wide variety of environmental activities. In 1992, they formalized those efforts into a program called Save The Waves®. When you sail your next Royal Caribbean cruise, be sure to pay attention to the signs and announcements regarding ways that you can help protect the environment and Save the Waves®. Little things like using that towel one more day can make a big difference, especially if every passenger would participate. If you are like me, you love cruising - be sure to do your part to save the environment for those that follow. MEYER WERFT delivered the new passenger cruise vessel Celebrity Eclipse to Celebrity Cruises on April 15th in the Dutch port of Eemshaven. The Celebrity Eclipse is the third ship out of a series of five cruise ships the shipyard is building for Celebrity Cruises. This Solstice-Class ship weighs in at 122,000 gross tons and has a capacity of 2,852 passengers. 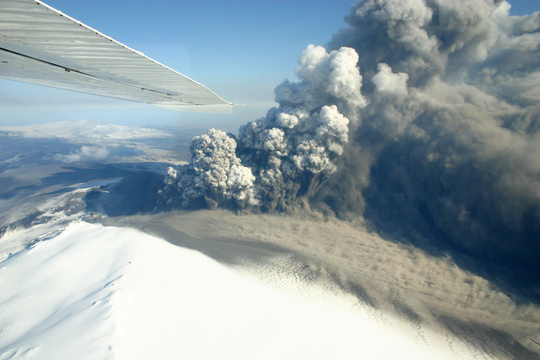 This event was overshadowed by the eruption of Eyjafjallajökull Volcano in Iceland. Celebrity Eclipse was delivered just in time to be put to use in an unplanned rescue voyage. The first leg of her launch celebrations, scheduled to begin on April 22, was cancelled in order to assist stranded U.K. travelers returning from their Easter break. As I write this column, Celebrity Eclipse is sailing from Southampton, where she arrived on Tuesday, April 20, 2010, to Bilbao, Spain, where she is scheduled to arrive in the early hours of Thursday, April 22. Stranded travelers will join the ship throughout Thursday morning. The ship will return to Southampton, arriving late Friday evening. This sailing replaces the activities planned during the two-night, round-trip launch celebration cruise from Southampton. We applaud Royal Caribbean Cruises Ltd. for once again quickly reacting to natural disasters and putting the full resources of the line to good use. As Earth Day approaches, it is significant to note that Celebrity Eclipse is an extremely eco-friendly ship. A total energy saving of about 30% compared to similar ships is achieved by highly energy-efficient components such as a photovoltaic system, optimized hull design (hydrodynamics), a very efficient underwater coating, and an energy-saving lighting system using LEDs. Explore remote villages, magnificent capitals and unspoiled scenery along the Baltic Sea as you follow in the footsteps of early sea explorers. Or simply indulge in some retail therapy and take in some of the world's best musical and artistic offerings. The Azamara destination experts will help you create a surprisingly rich experience... Now that planes are flying again to Europe, it's time to plan YOUR getaway. Would you like some free money to spend on your Azamara Club European adventure? Do you have to fly to your cruise destination? If you answered yes to both of these questions, then why not try ChoiceAir to book your flights. You can book yourself or have your cruise specialist complete the reservation on your behalf. 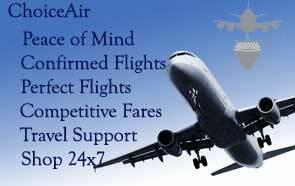 ChoiceAir is a new way for guests to buy their air transportation to and from their cruise vacation. It is the name of the new air/sea program and the name of Royal Caribbean Cruises Ltd.'s new airline travel website. The ChoiceAir Program is a departure from traditional air/sea programs because it allows guests to purchase their airline tickets at the best available prices, when they are booking their cruise. Unlike the legacy air/sea model, customers select their own flights from all published airline schedules and fare types. Guests may book directly on the website, over the phone with RCCL, or through their travel partner. No matter who makes the ChoiceAir reservation, the guest is assured the best value for their cruise by tying their airline reservations to their cruise. This allows RCCL to monitor the Guests’ travel to the ship, and step in to help should they run into trouble in transit. RCCL will ensure the Guest makes it to the ship or if necessary work with airline partners to get them to the next port-of-call, whenever possible. The ChoiceAir website allows guests, travel partners, and RCCL contact center employees to book all published airline schedules and fares on the Internet. It has a familiar look and feel, similar to leading consumer websites; however, it is customized to meet the needs of guests. Unlike consumer sites, ChoiceAir filters air displays to fit the cruise time parameters, allows a guest to use different credit cards to pay for each guest in a reservation, links the air reservation with their cruise reservation, and provides optional airport to seaport transfers. After careful evaluation, the UK Civil Aviation Authority (CAA), working closely with aircraft manufacturers and other agencies, has recommended a gradual reopening of UK airspace. So after six days of ash, Why is it Now Safe to Fly? This BBC News article, Flights resume as ash fear recedes, says it better than I could. This was uncharted territory, as the previous time this volcano exploded was before the dawn of aviation as we know it today. The airlines and airports are working closely together with CAA to resume flights while maintaining passenger safety. Despite the reopening of the airspace, passengers are encouraged to contact their airline prior to going to the airport. We are very pleased that the aviation authorities have opened UK airspace to enable us to begin the task of bringing our stranded customers home, as well as working towards normal operations. As we have many aircraft and crew out of position, it will still take some considerable time before we can restore our full flying programme. We are working hard to see how many flights we can operate in the days ahead to help our customers. At this stage we are looking to operate all longhaul flights departing from Heathrow and Gatwick on Wednesday April 21. Please check your flight status before departing for the airport. DO NOT GO TO THE AIRPORT IF YOUR FLIGHT IS CANCELLED. There will be shorthaul cancellations to and from London airports until 1300 (UK time) on Wednesday 21 April, and possibly beyond that time. We hope to have further updates soon. BAA Airports BAA owns and operates a number of airports in the UK. We will continue to monitor this situation and bring you updates on significant events. Between posts, please use the links provided for latest information. The picture above, courtesy BBC, shows a snapshot of the airspace between the U.S. and Europe. The red zone is the predicted ash cloud pattern which is still blanketing much of the region. Some flights were permitted to take to the skies, mainly flying above the ash cloud or in areas not currently in the wind patterns. Based on advice from NATS, all flights to and from Heathrow remain suspended until further notice. EU Officials continue to work on a solution for this growing problem. Every day the planes remain grounded costs millions of dollars and further extends the recovery period. The Cruise Line industry has also been impacted by this natural disaster in many ways. Passengers have been stranded at airports and unable to join their cruises; others have not been able to return home following their cruises; crew members have also suffered the same fate; there have been long hours for everyone involved in keeping the cruise ships moving. This is a logistical nightmare not seen in this magnitude since the September 11th terrorist attacks. This time of year is typically when the cruise lines reposition their ships from the Caribbean to Europe. Some have departed already for those journeys while a few will be leaving in the next several days. Cunard has regularly scheduled crossings between New York and England. As of this past weekend, there had been some availability on those cruises, and the cruise line's reservations systems were flooded with calls, both from people seeking passage as well as passengers looking for assistance. Most Trans-Atlantic crossings in the next month are currently sold out and wait-listed. Cunard indicated that the wait-list had over 1,000 names for example. Eyjafjallajökull ash cloud 17 April 2010. Flight with the Icelandic Coast Guards. Photo: Matthew J. Roberts. This phase of the eruption is declining. According to NATS, "the volcanic eruption has reduced and the volcano is not currently emitting ash to altitudes that will affect the UK. Assuming there are no further significant ash emissions we are now looking at a continuously improving situation". This hopeful news comes none too soon as Day 5 of the flight grounding continues. The grounding is costing millions of dollars a day to an already over-taxed industry, stranding tens of thousands of passengers each day, and interrupting the flow of other commerce. Even for those that were able to reach their holiday destination, returning home may become so stressful as to have a nullifying effect on the rest and relaxation enjoyed during the vacation. I won't repeat the links here, so please consult my previous column, Europe Travel Woes Continue, if you are searching for updates on your cruise or for other links covering this volcanic eruption. Cruise lines are operating on schedule for the most part, with some minor itinerary changes. The lines are working directly with affected passengers in attempts to salvage their cruise vacations. Where that is not possible, they are working to rebook passengers for alternate cruises. Passengers that cancel will be subject to normal cancellation polices and should consult with their travel insurance companies regarding compensation. Polices would have to be in effect prior to the volcanic event to be covered according to insurance spokesmen. Based on the latest information from the Met Office, NATS advises that the restrictions currently in place across UK controlled airspace will remain in place until at least 0700 (local time) tomorrow, Monday 19 April. Consult the links below for ongoing updates as this situation is dynamic (based on weather conditions and continued eruptions). The sky might be blue in the photo above, provided by AP, but the skies over Europe are anything but friendly as Day 3 of the Eyjafjallajökull Volcano eruption continues to ground flights across the globe. Flights to and from Europe remain restricted until 0700 BST on Sunday. Some flights may be able to take off from Scotland and Northern Ireland before 1900 BST on Saturday, but most planes will remain grounded. British Airways has cancelled all short haul flights on Sunday and is still evaluating long haul services.Flights from other countries, including the United States, have been cancelled during the restricted time period. Also consult individual airports and airline carrier's websites. 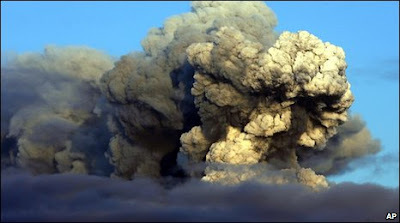 The National Air Traffic Control Service (Nats) said Met Office forecasts showed the ash cloud progressively covering the whole of the UK after 1900 BST. A further update is expected at about 2100 BST. Scientists continue to monitor seismic activity in the region. See time and magnitude of earthquakes near Mýrdalsjökull (which is the larger ice-cap east of active Eyjafjallajökull) on another map. Note the graph under that map which shows the onset clearly. Historically, when Eyjafjallajökull is active, so is Mýrdalsjökull. YouTube - Eyjafjallajökull - You're doing it wrong! Cruise lines with passengers affected by the flight delays are monitoring the situation. In some cases, such as Royal Caribbean, rebooking fees are being waived. In other cases, departure times may be adjusted to allow air-sea passengers to arrive before departure. Continue to monitor links provided here for updates on conditions and any itinerary changes. Your travel agent or cruise line may need to contact you directly, so be sure they have your contact information. Contact your travel insurance provider for assistance. Dangerous ash spews from Eyjafjallajökull Volcano, in this photo courtesy of Icelandic Coast Guard, causing widespread flight cancellations across Europe. Not since the September 11, 2001 terrorist attacks has there been such a major disruption in air traffic. Non-emergency flights in Britain were canceled, and most will stay grounded until at least midday Friday. Authorities in Ireland, Denmark, Norway, Sweden, Finland and Belgium also closed their air space. France shut down 24 airports, including the main hub of Charles de Gaulle in Paris, and several flights out of the U.S. had to return, others were canceled or rerouted around the ash cloud. It isn't known when flights can resume. 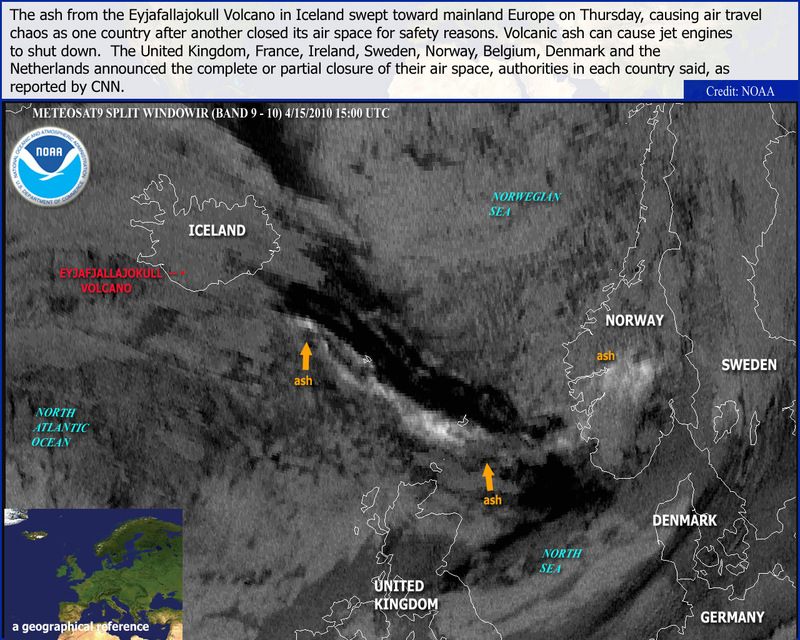 According to scientists in Iceland, the erupting ash cloud could continue for days. 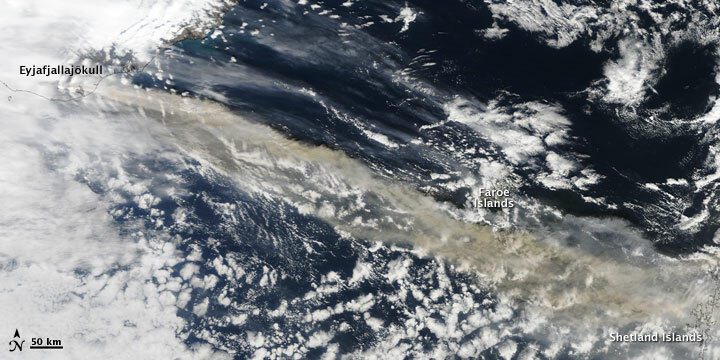 The ash plume drifted at between 20,000 feet and 36,000 feet towards Northern Europe 1200 miles away. Volcanic ash consists of microscopic rocky particles that pose a threat to aircraft because they can affect the pilot's visibility and get sucked into airplane engines, causing them to shut down. The ash can also clog other vital instruments, such as air speed indicators, which control the aircraft. 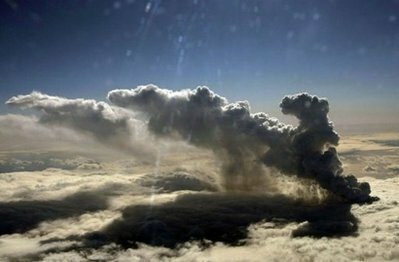 Flights between Iceland and the rest of Europe as well as between the United States and Northern Europe are greatly affected due to safety closure of extensive airspace between Iceland and mainland Europe to avoid airborne volcanic material from this large eruption in Iceland. Keflavik International Airport is not closed. Flights to North America are scheduled, but many flights to Europe have been delayed or cancelled. Copenhagen Airport also closed all inbound and outbound traffic from late afternoon today until at least 12 P.M. Friday 16 April. Oslo Airport has canceled all flights to and from Oslo, Norway until further notice. Based on weather forecasts, they don't anticipate a change in conditions for 16 April. Air traffic at all Swedavia airports is now canceled. The forecast is that the situation will be the same during Friday. Most likely there will be very large disturbances in air traffic then as well. Amsterdam's Schiphol Airport came to a complete standstill at 19:00 15 April as all air traffic in and out of the Netherlands came to a gradual halt. Belgian airspace closed due to the volcanic ash. All flights in and out of Brussels Airport were suspended from today Thursday 15 April at 16:30 until Friday 16 April at 18:00. Air traffic is restricted in all 25 Finnish airports operated by Finavia. Practically, the air traffic is completely shut down. As of the latest update, the restrictions are approximately valid until Saturday 17April, 3 pm. 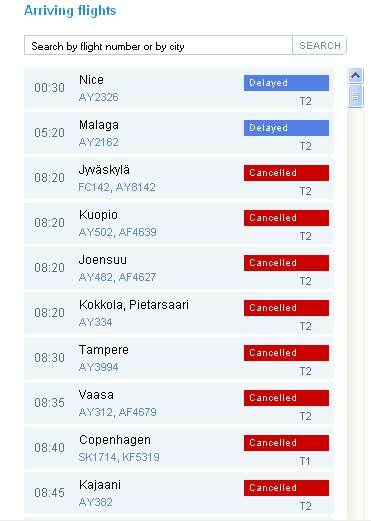 Information about the situation on other airports in Finland: www.finavia.fi. Airlines contact information can be found at Helsinki Airport website. Poland's Krakow International Airport is now included in the no-fly zone, so flights are canceled. This brings great concern to Polish Officials awaiting arrivals of many world leaders for Sunday's state funeral of President Lech Kaczynski and his wife, Maria, in the southern city of Krakow. President Obama is among the dignitaries expected to attend the funeral. Some flights are taking off from Moscow's airport, but not those to Northern Europe. The closures are causing a cascading effect on air traffic across the world. Cruises will be impacted as passengers become stranded due to the flight cancellations and delays. We will post updates from the major cruise lines as information becomes available. Contact your travel insurance company if your flight is impacted by this grounding. United Airlines has canceled all flights on April 15 from the United States to London, Paris, Amsterdam, Frankfurt, Brussels and Moscow. United flights from those cities to the United States have been canceled for April 16. Waivers have been issued allowing for flights to affected countries. Other Airlines have done likewise - check with your carrier if you are scheduled to fly to or from Europe. Your travel agent or cruise line may need to contact you directly, so be sure they have your contact information. 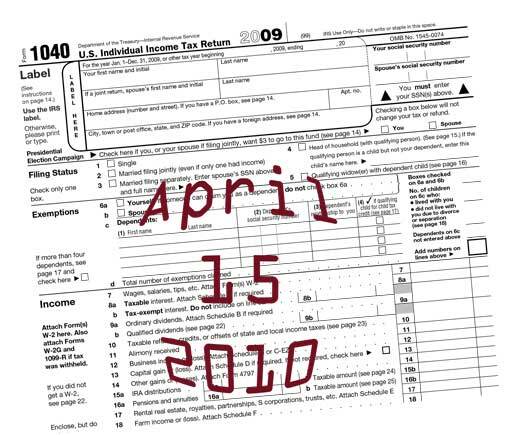 If you want to leave for your trip in May or June, I'd suggest that you make your reservations before you receive your refund check, as cabins are quickly being sold out. That might come as a shock to many of you, but people are booking early to take advantage of special pricing, so the odds of even finding a cabin at the last minute are low (especially if you need a cabin with more than double occupancy). Royal Caribbean announced that their new ship, Oasis of the Seas, exceeded the 6,000 passenger mark on a recent voyage. If you are ready to start planning, the Cruise Finder tool (left navigation pane) can help. Princess Cruises announced some additional sailings for Star Princess. The added sailings are in the Exotics and Caribbean markets. Sail onboard Star Princess® for a 29-day adventure around the southernmost tip of stunning South America before traversing the sun-swept Caribbean en route to Ft. Lauderdale. From Buenos Aires, you’ll sail around historic Cape Horn before setting sail for points north, including Salvador and Recife in Brazil and the sunny splendors of Barbados and Antigua. Once the cruise adventure begins, you'll have the opportunity to sail where explorers have gone before - around the tip of Cape Horn and the Strait of Magellan. Your voyage includes an overnight stay in Rio, ideal for experiencing the nightlife of one of the world’s most exciting cities. Departing Rio, your voyage begins the journey north towards Ft. Lauderdale, Florida. This will be a cruise adventure you'll remember for many years to come. Learn more about these and other Princess Cruises. Forecasters at the Colorado State University are predicting an active hurricane season for 2010. The season begins June 1st and continues through November 30th. Their current forecast calls for above-average activity and it increases their estimates since the initial assessment done in December, 2009. It is impossible to precisely predict this season’s hurricane activity in early April. NOAA won't even make their first prediction until sometime in May. So, why is Colorado State University's team of scientists creating this forecast? Mainly because the public is curious about predictions based on the current global oceanic and atmospheric conditions. The forecasting team created their predictions using a statistical model based on 58 years worth of data. The scientists believe that the warming of Atlantic tropical sea surface temperatures and the anticipated weakening of El Niño results in an above-average probability of United States and Caribbean major hurricane landfall. The forecast does not predict where within the Atlantic basin these storms will strike nor the probability of landfall for any one location. I've just received an inside tip that SpongeBob, of Nickelodeon fame, was spotted this month on Norwegian Jewel. The photo above, from an insider at Norwegian Cruise Line, confirms this. SpongeBob is seen relaxing in the sun on Norwegian Jewel. Doesn't he look nice and relaxed? No SpongeBob isn't on Spring Break. In fact, starting in April on Norwegian Jewel and this Summer on Norwegian Epic, Nickelodeon and Norwegian Cruise Line have teamed up to create one-of-a-kind family cruise vacations... introducing Nickelodeon at Sea, exclusively on Norwegian Cruise line. Catch a show starring everyone's favorite Nickelodeon characters, including SpongeBob SquarePants, Dora the Explorer and more. A cruise vacation is fun for the whole family. With the addition of Nickelodeon at Sea, NCL adds another dimension to Freestyle Cruising®. Several cruise lines have added characters on board their ships over the years. This has always been a hit with the young crowd, so we are certain this will also be a success. Click on one of the ships above to plan a family vacation on one of these ships, book your vacation, and send me your pictures of SpongeBob with your family. We'll post your pictures in a future column. Celebrity iLounge is a fresh twist to the online cafe, set in a modern lounge environment where Certified Staff will introduce guests to the latest MacBook Pros®, iPods®, applications and accessories. With all the hype this week around the iPad®, Celebrity Cruises couldn't have planned a better time to launch this innovative program. This program has been well received by passengers and the travel community prompting Celebrity Cruises to expand the program from one to three ships just two months after initial launch. Who will enjoy Celebrity iLounge? What can Celebrity guests learn or do there? As do-it-yourself photo books, movie editing, and web design, become ever more popular, Celebrity made the enrichment experience its main focus which is a valuable addition to the Celebrity Life ”Discover” series. 2011 marks Oceania Marina's inaugural European season during which time she joins Insignia and Nautica sailing to every corner of the continent. The 2011 European Collection contains 32 wonderfully imaginative itineraries of which 21 are new. Oceania has also added eight new ports within Europe, further expanding their already impressive reach. The new focus for 2011 is a region Oceania calls Continental Europe along the Western European coast. Your 10 - 18 day European cruise adventure starts and ends in ports of call including Barcelona, Rome, Venice, Athens, Istanbul, Copenhagen, Stockholm, London, Miami, and Rio de Janeiro. When traveling from the United States to Europe, I recommend spending one or more days before your cruise exploring the departure port while getting adjusted to the time difference. This also removes the stress of arriving on the cruise departure day. Some of the itineraries allow you to extend your stay in a different port of call at the conclusion of your cruise. Today marks the most solemn day in the Christian calendar. Unlike Christmas, Easter is a movable feast occurring the first Sunday after the full moon following the vernal equinox. 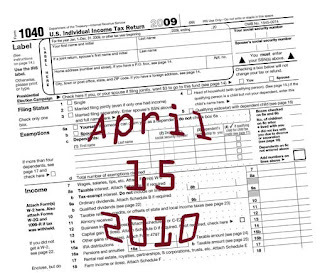 It can therefore occur between March 22 and April 25. Christians gathered in churches today, across the world, and rejoiced because He is Risen from the Dead. This Good News has been handed down from generation to generation and is based on the scriptures recorded more than 2000 years ago. We have had the good fortune of traveling to many parts of Europe. While on these cruise vacations, we often visit the magnificent cathedrals and churches built hundreds of years ago. The stained glass window above can be seen in the Cathedral in Antwerp, Belgium. The sculptures, wood carvings, and stained glass windows bring the scriptures to life. What is most amazing is the level of detail exhibited in these works of art which can be found not only in the cathedrals, but often on other buildings such as the one pictured here. During our travels, we have learned about how the cathedrals and their contents have withstood the test of time. In some cases, bombs fell all around, but left only minor damage to the cathedral. In other cases, damage was more extensive but the communities rose from the ashes and restored them to their previous condition. Visiting these churches has enhanced our cruising experiences and we hope that you'll also have the opportunity to visit some historic churches on one of your future cruise vacations. The top photo was taken onboard AMA Waterways Amalegro last Easter Sunday. 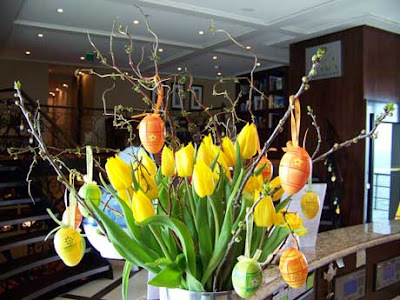 Modern age has added the Easter Bunny and Easter Eggs to this holiday celebration. Whether you celebrated this as a religious holiday or secular one, we hope that this Easter Sunday was a joyous day for you.